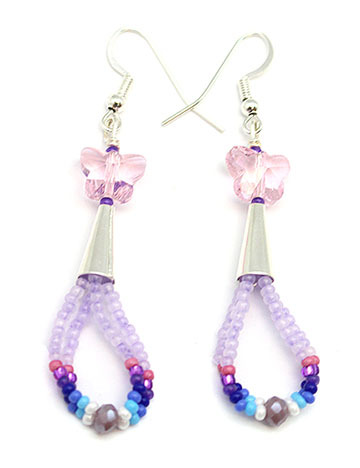 This two strand seed bead earring also has a crystal butterfly at the top and it all measures approximately 2 5/8" long with silver plated frenchwire by 1/2" wide loop. Native handcrafted by Navajo artisan Juanita Manygoats. Color of beads and butterfly will vary.